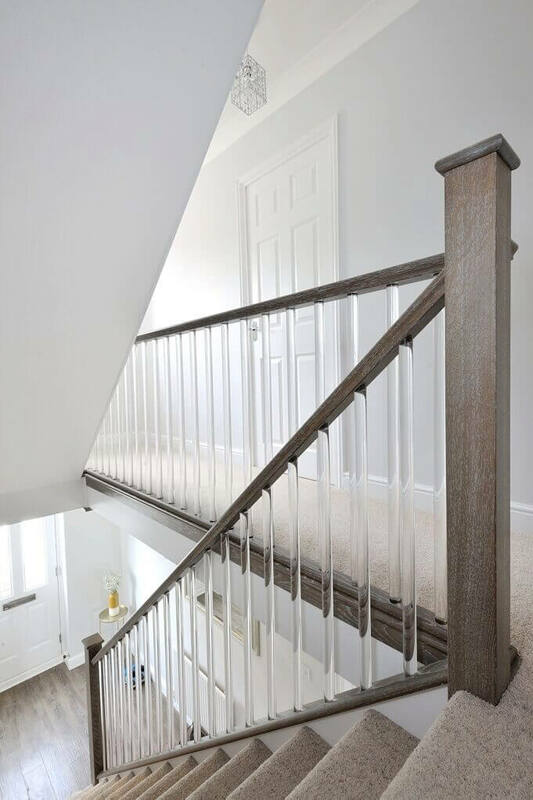 When Mr and Mrs Ramsden converted their family home from a two-storey build into a three-storey home, they were left with a dark wooden staircase that made the hallway feel heavy and imposing. 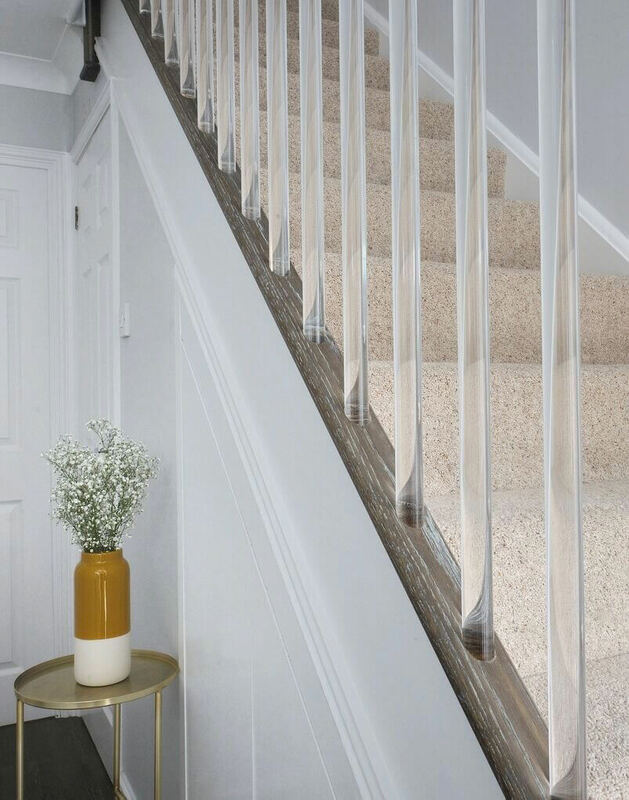 They approached us to help them build a more modern staircase that would create an impression of light and space. 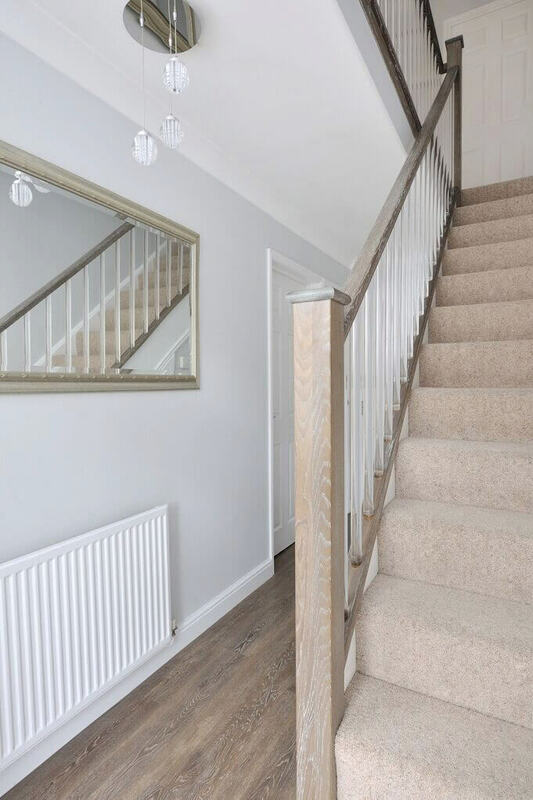 This Staircase Renovation was made from grey oak bannisters with our brand new clear-cut spindles and carpeted treads in a neutral shade. By using the same materials and finish throughout the three storeys, the Ramsden’s home now has a sense of sleek continuity and the contemporary design flows throughout the house. If you want to become one of our customer stories, get in touch today.